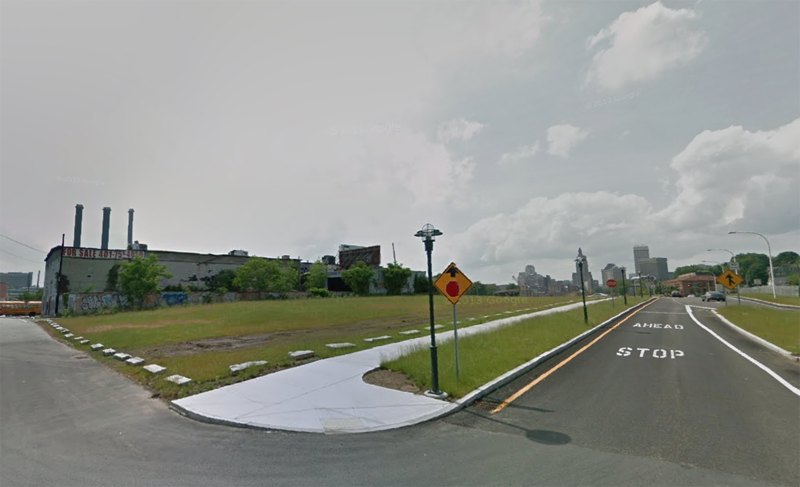 A city developer has entered into exclusive negotiations with the I-195 Redevelopment District Commission to purchase a piece of former highway land in the city’s Fox Point neighborhood. Richard Baccari II, principal of Royal Oaks Realty LLC, confirmed in an email Monday that his group had signed a “letter of intent” to buy a property between Pike Street and Tockwotten Street from the commission. I’ve heard some very preliminary information on this project, and it sounds interesting. See previous post about the project here. In response to a public records request from Providence Business News, I-195 commission Executive Director Jan Brodie earlier on Monday said by email that the commission had signed two letters of intent, one more than had been made public last week when the panel approved a purchase and sales agreement with a Dallas developer planning a student apartment building. See, this a problem. As I’ve said before, I understand the need for discretion when doing real estate deals, but the fact that PBN had to do a public records request is troubling. Private citizens can do public records requests too, but how many of us do? The perception of the Commission this creates is not good. And it is not like this is any kind of state secret. This project has been reported in the media, people in the industry are well aware of this project, which makes all the secrecy all the more annoying. I feel like the secrecy of the I-195 Redevelopment District Commission is a bit overkill. Why do they need to be so secretive?